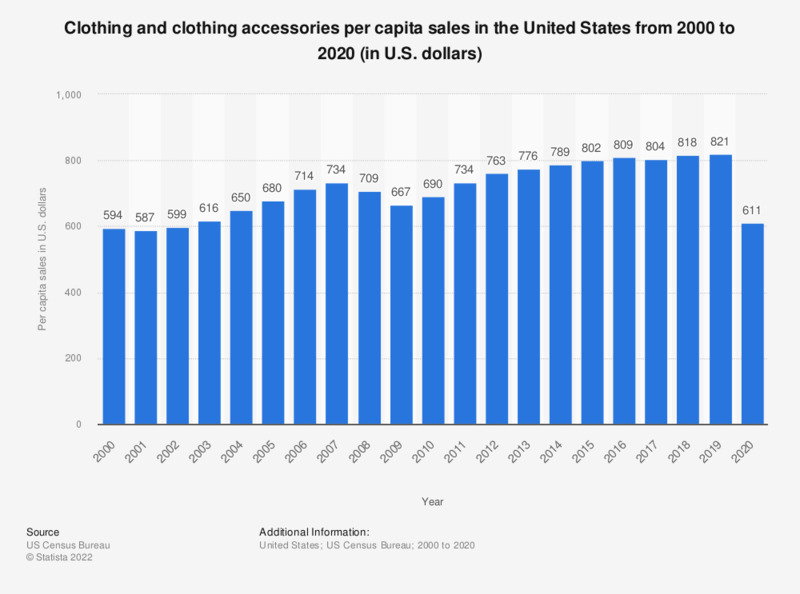 The timeline shows the estimated clothing and clothing accessories per capita sales in the United States from 2000 to 2016. In 2016, clothing and clothing accessories sales amounted to 803 U.S. dollars per capita. Sales in clothing and clothing accessories stores. How important is quality when you choose clothes for yourself?